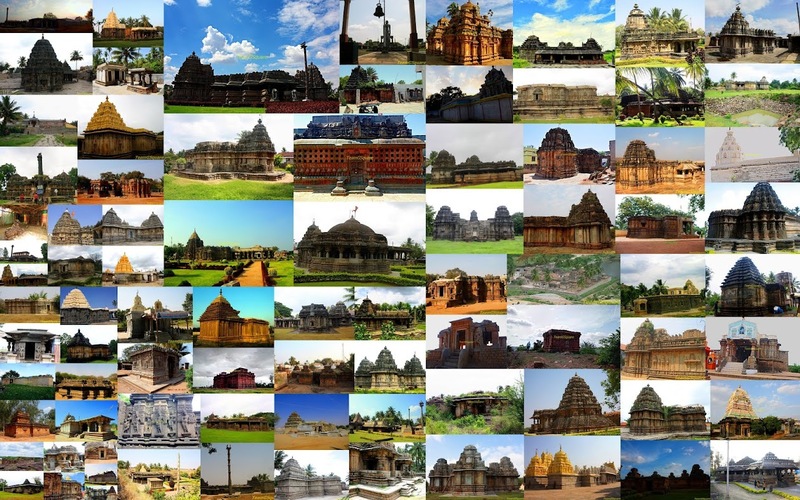 Answer to guess the structure post is a 'Dolmen', locally called as Pandavara Gudi. Deepak Amembal (magic eye) got the closest to the answer. Dolmen (wiki) is a megalithic structure which in olden days, is believed to have been used for burials of the dead . The picture above shows the cross section of a Dolmen . 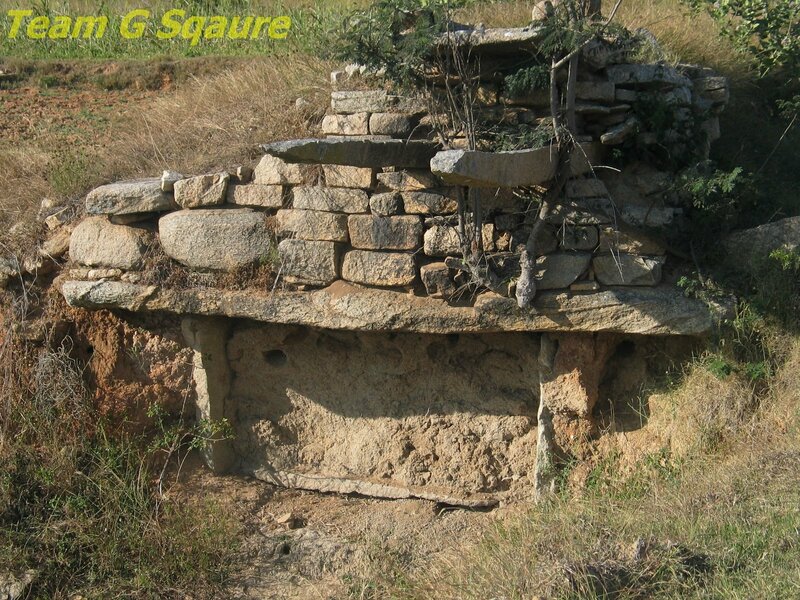 It consists of a cap-stone, floor-stone and four vertically standing stones that form the covered portion . Out of the four side stones, one is port-holed. 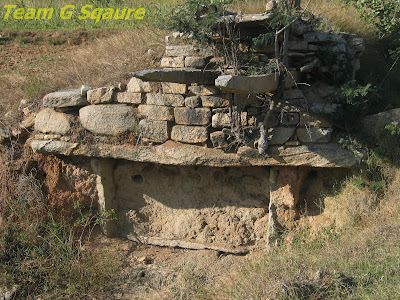 Some researchers believe that " the people who were about to die were placed in a dolmen, along with the required food, water and other necessary things and after their death, the cap-stone was placed above". 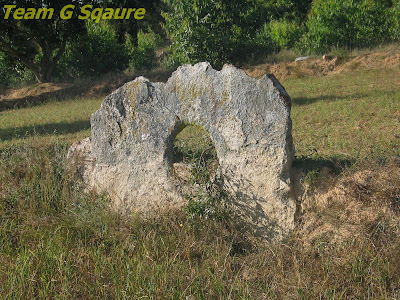 At some places, dolmens are found independently, while at many other, they are found as Dolmenoid Cysts, surrounded by a Stone Circle. Though the real use of these structures are still a mystery, our inferences are only limited to our imagination. First of all, why have a port-hole on a side stone if it was being used as a burial structure? and what purpose does the floor stone serve? 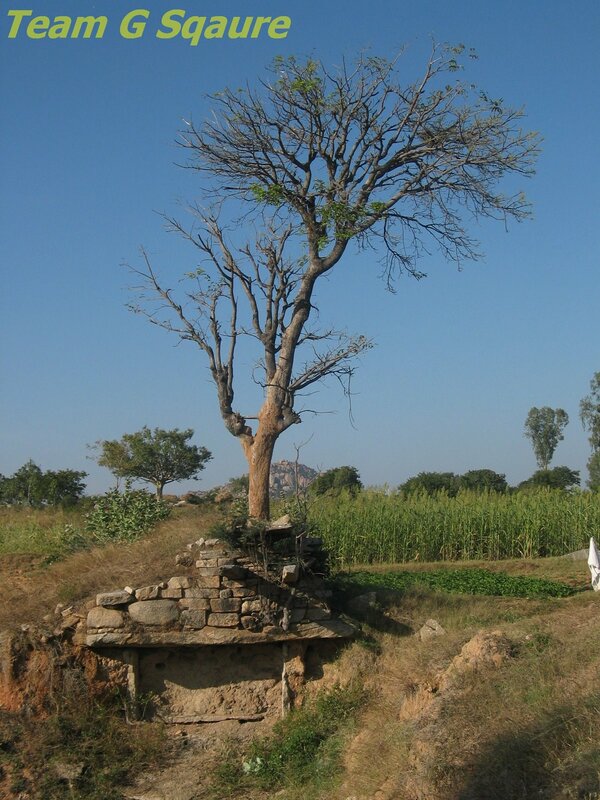 Some researchers argue that the pre-historic people believed in life after death, which is why they devised so many burial structures, in order to please the departed soul . The other structure (above the cap-stone) in the picture is of course a part of water lifting device, which many got it right. 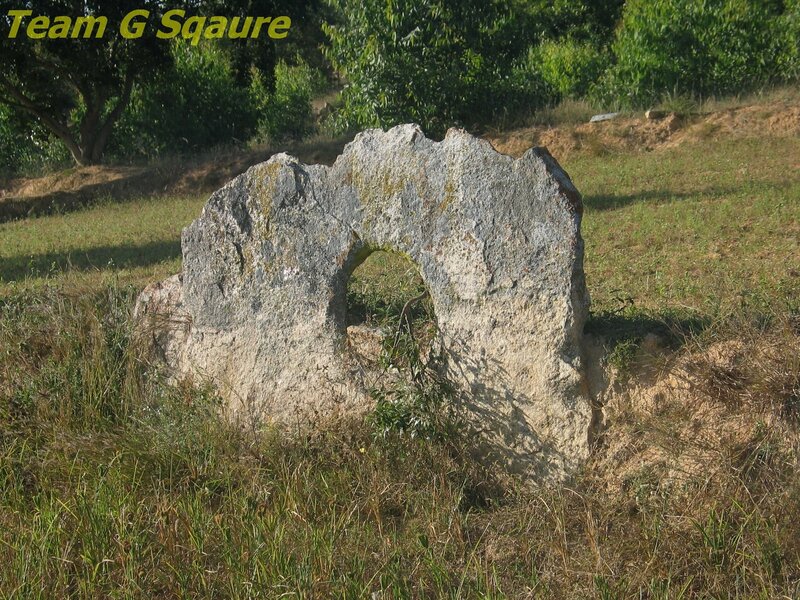 There are many Dolmens, Stone Circles and Menhirs found lying in this region without any care. With this post we have completed three years of blogging. Informative post. Congratulations on your 100th post. Congratulations on completing 3 years of blogging!! Looking forward to plenty more fascinating travel posts from you! Let's do a trip this monsoon and probably include others too...!? Thanks for sharing this interesting post with us. Congratulations on your three years of blogging. Another fascinating, interesting, informative post and great captures!! Congratulations on three years of blogging!! I do so enjoy your blog and photos! I hope your week is going well!! wow!!! I have never seen a dolmen before... looks like I have to have a loooong chat with you soon... about my impending trip to Bangalore :D and congrats on the 3rd anniv!!!! its a grt achievement indeed, and may you keep travelling... and writing! Beautiful shots and an interesting post. Congrats for 3rd anniversary ! May this blog see many more. interesting and informative post... Congrats on the the 3rd Anniversary... Great Achievement. Congratulations on third anniversary and many more to come! Have seen burial sites earlier but not in India. Very interesting post indeed! Nice Blog.. I enjoyed your pictures.